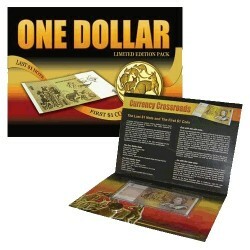 $1 Australian Decimal Banknotes There are 6 products. 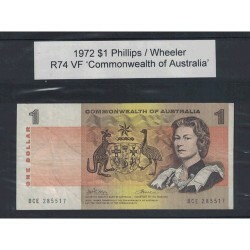 1972 $1 R74 Phillips / Wheeler General Prefix VF Paper Australian Banknote. 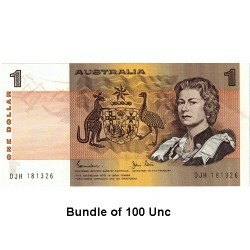 1982 $1 R78 Johnston / Stone General Prefix UNC 2 Consecutive Paper Australian Banknote. 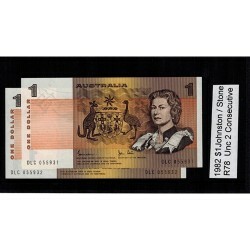 1982 $1 R78 Johnston / Stone General Prefix aUNC Paper Australian Banknote. 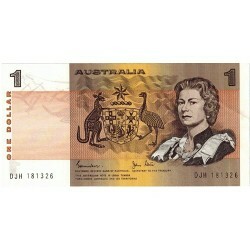 1982 $1 R78 Johnston / Stone General Prefix UNC Paper Australian Banknote.